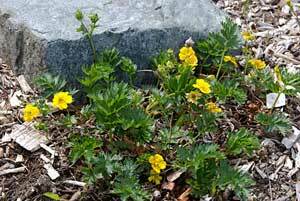 A dense, creeping perennial 6″ tall. compound leaves of 3 leaflets with serrated edges. 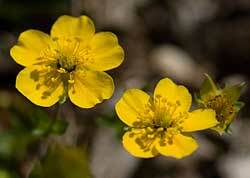 Flowers with yellow heart shaped petals at the end of leafy stems. 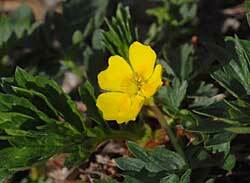 Found in moist meadows and scree slopes at subalpine to alpine elevations. Native from BC south to N. California.